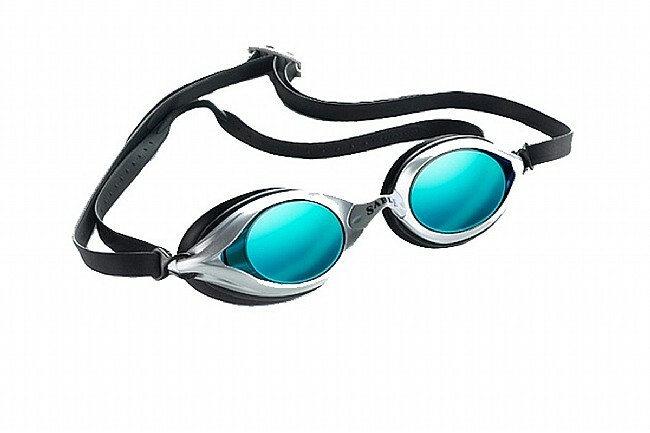 The RS 101 Goggle from Sable is a racing-specific goggle with a low profile fluted frame and lightweight yet durable construction. The clear HD lenses feature anti-distortion aspherical Flatlens™ technology and an anti-fog treatment. Water-tight silicone seals protect the eyes from chemicals and bacteria in the water. The non-slip strap can be easily adjusted for a comfortably snug fit.